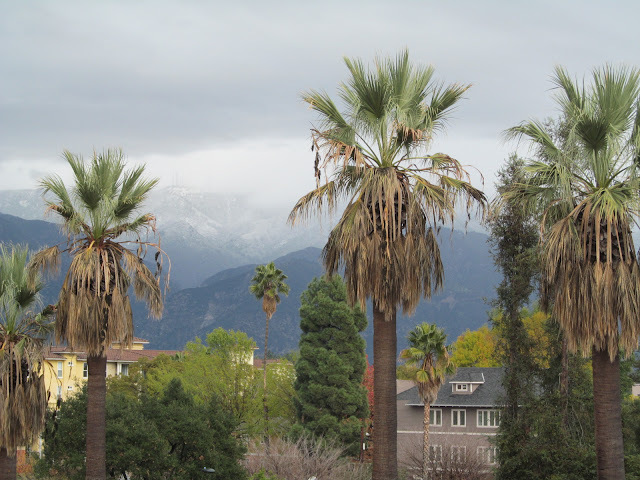 ﻿One of the most fascinating things about our most recent trip to southern California was witnessing how winter comes to the region. When we arrived, the daytime temps were in the upper 50's with a soft rain, similar to that in Ireland in the late spring. People apologized for "the cold," but leaving cold, overcast Albany we had no problems. That's right . . . Snow! It rained in Pasadena during the night but in the mountains, the rain came down as snow. 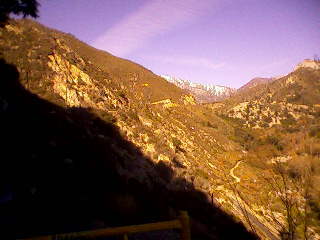 The San Gabriels are a fascinating place. They are implacable wilderness. People who live along their edge are subject to mudslides, flooding and wildfires. When these pestilences are not happening, the mountains serve up other surprises. One person we talked to had a bear regularly visiting his house this fall. One of my favorite days of this trip was Friday, December 28th, when Dennis and his son, Ethan, took me fishing in the San Gabriels. 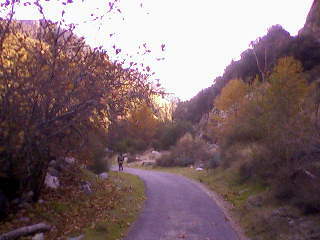 There were actually trout rising and the mountain vegetation looked more like fall than winter. This is now my personal record for the latest day in the year that I have been trout fishing. Some hard-core New York angling friends are not impressed by December fly fishing in southern California but it is a pleasant memory that will sustain me when the wind blows and the snow falls!